The sequel of the most beautiful sounds Harmor can play ever is back. World Elements is an Ambient sound bank that has consistently received lot of attention by Harmor users. ‘World Elements 2’ gives a definite clear sound and has a very small capacity after compression which is about 300kb. Unlike this typical modulation, the modulation of ‘World Elements 2’ is programmed focused on creative use and dramatic modification. 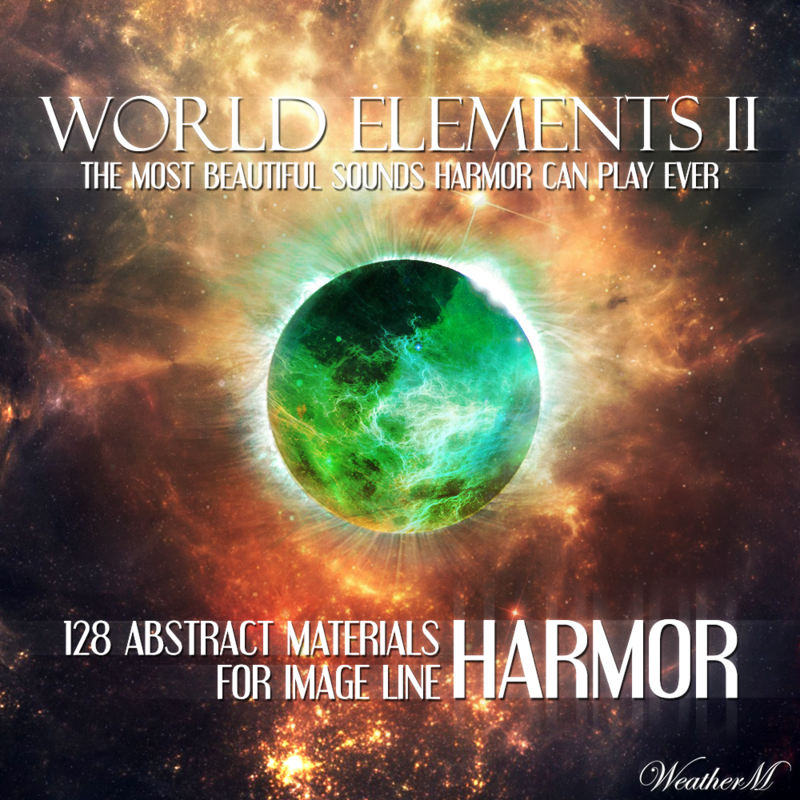 ‘World Elements 2’ has made big reinforcement in sound from many categories such as Bass, Lead, Bell. Especially the Bell, Electric Pianos have been made with great effort. However ‘World Elements 2’ did not forget the identity of ‘World Elements 1’. which will make it a useful sound bank for Ambient lovers as usual. Moreover, ‘World Elements 2’ is designed for Ambient / Drone / Cinematic / Soundscape, just like ‘World Elements 1’. and 12 single instruments splitted from sequences. -All presets are assigned to X,Y,Z performance modulation, and wrote some useful tips in info box. -Requires Harmor VSTi 1.3 or higher, or requires FL Studio 12.5 and activated Harmor if you using FLi version.